The last thing I care to do on the day between Thanksgiving and the Iron Bowl is shop. Instead, I try to find some free time to do something relaxing and just for myself. This Thanksgiving weekend I found time to go to the Birmingham Museum of Art (www.artsbma.org) to catch an exhibition I’ve been wanting to see since it opened in January. 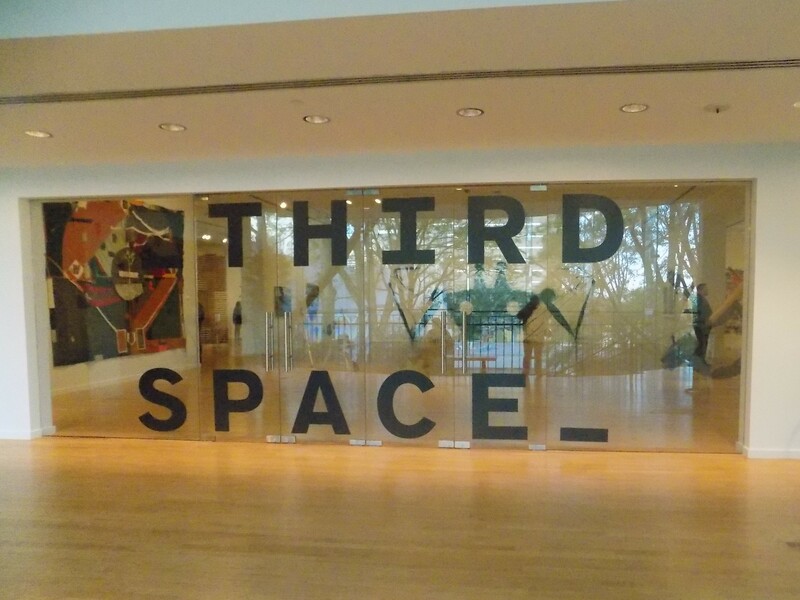 “Third Space: Shifting Conversations about Contemporary Art” will be up until January 2019. 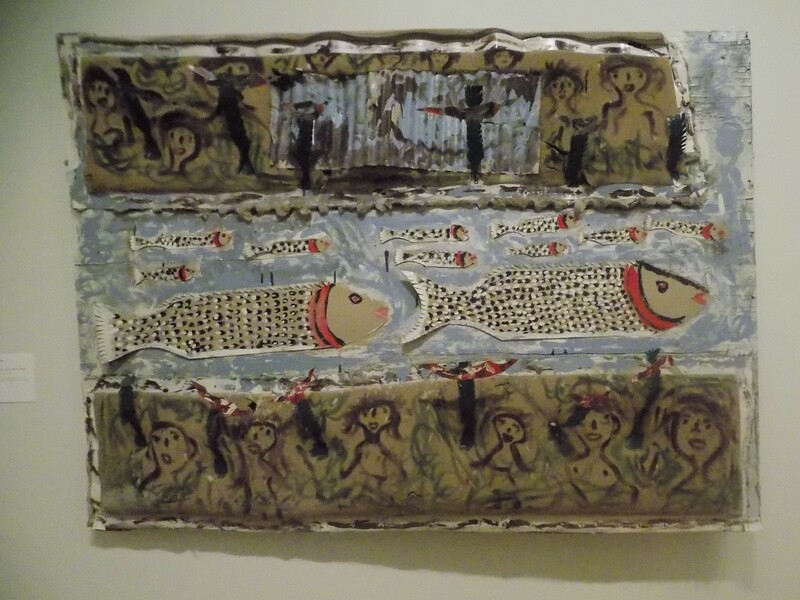 It incorporates a number of contemporary pieces from the Museum’s permanent collection and explores correlations between diverse media, artists, and themes. 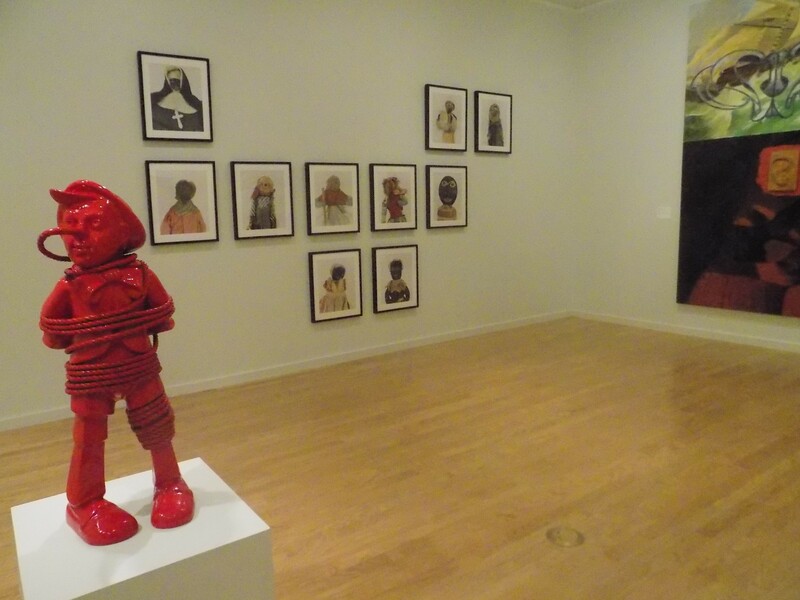 Birmingham Museum of Art regulars are already familiar with some of the featured Alabama artists like William Christenberry, Thornton Dial, Lonnie Holley, Kerry James Marshall, and Moses Tolliver. They are all represented in “Third Space.” The exhibit also gives the opportunity to view lesser-seen pieces, monumental pieces, and video installations by international artists that are rarely viewed. The exhibit is organized into groupings with labels like “migration / diaspora / exile”; “gaze / agency / representation”; “spirit / nature / landscape”; “traditions / histories / memory.” Those categories, peppered with contemporary art buzzwords, prepare the viewer for the dominant themes of victimization and resentment which are so prevalent in much current contemporary art. There are exciting images throughout the venue and around each corner is something to please and/or challenge the senses. Out of the corner of my eye I thought I spotted one of Jim Dine’s Pinocchios but moving closer it was a sculpture by Cuban artist Esterio Segura. In “La historia se muerda la cola (History Bites Its Tail),” Pinocchio’s nose, which grows when he lies, has grown into a rope that binds him. Not only did I ponder the symbolism of the nose in the Segura piece but it lead me to consider why Dine is also drawn to the character and has presented him in so many ways. I have a quote from art critic Cay Sophie Rabinowitz on my office wall; I regularly discuss it in my directing classes. She wrote, “When agency is replaced by agenda, the intelligence and poetry of art often get sacrificed.” I found myself thinking about that quote during my time at the Third Space exhibit. “Third Space” is a challenging exhibit, raising questions and issues at every juncture. However, the artists’ agenda in the approximately hundred works on view usually does not take precedence over the provocative agency of the artists’ accomplishments. I was often drawn to a work’s skillful execution before being drawn into the artist’s more powerful and subtle intent. At times, I had no clue to the intent. For example, Laylah Ali’s “President” is a puzzling collection of small sketchy drawings of each U.S. president pre-Obama. Exhibition notes say the artist gave no instruction for how the portraits should be ordered so the curator has arranged them from president with most hair to president with least. A few of the presidents are being gazed at (taunted?) by little orange heads. There was no apparent rhyme or reason as to why Ali chose the presidents she did for these puzzling cartoon additions. Still, I kept looking. One of the prettiest pieces is also abruptly disturbing. 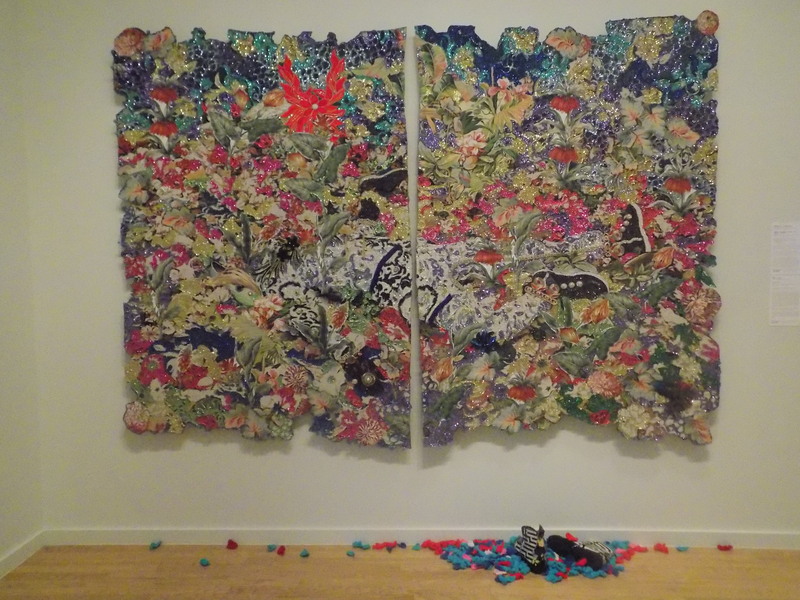 “among the weeds, plants, and peacock feathers” by Ebony G. Patterson compels with its sparkles and bangles until one notices the shoes in the tapestry and realizes they are attached to a human body. Probably the most aesthetically pleasing painting for me was David Salle’s “Making the Bed,” a striking work on canvas in which an armada hovers over a shadowy reclining figure. A blood red streak of paint connects the two images. 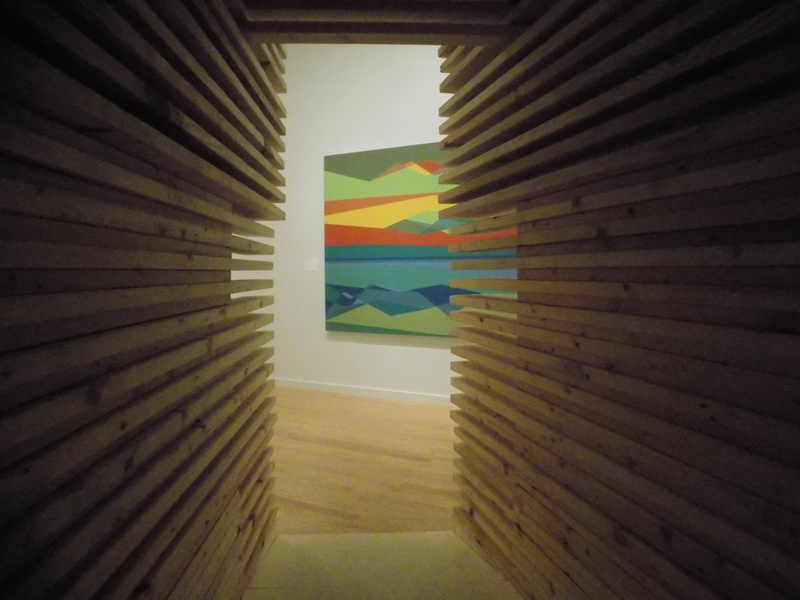 One of the galleries in the exhibit is grounded by a large piece built by Rural Studio architect/artisans. “2x’s” (two bys) is an aggregation of boards that would be used in building one of Rural Studio’s “20K Home” projects. The assemblage has built-in seating areas and provides a unique and personal perspective to the work that surrounds it. When the Third Space exhibition closes in 2019, the boards of “2x’s” will return to the Black Belt to be used in a new 20K Home. On most visits to the Birmingham Museum, I head first to the modern galleries where I have favorites I like to revisit. It’s good to have “Third Space” available for another year with some of those familiar pieces and others with which I have just established an acquaintance. 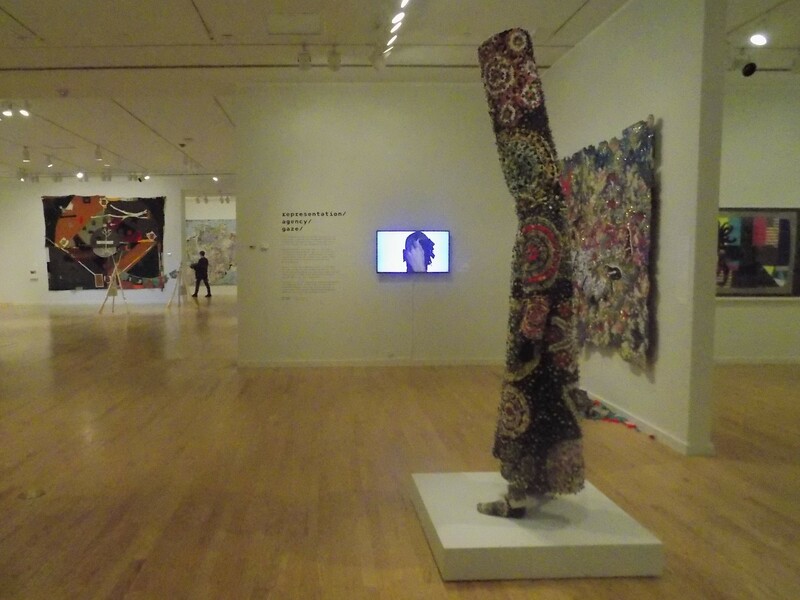 This entry was posted in Third Space at Birmingham Museum of Art and tagged Alabama art and artists, Auburn University Rural Studio, Birmingham Museum of Art, Cay Sophie Rabinowitz, David Salle, Ebony G. Patterson, Esterio Segura, Fred Wilson, Jim Dine, Laylah Ali, Nick Cave, Odili Donald Odita, Third Space at BMA, Thornton Dial on December 2, 2017 by gedwardjourney.